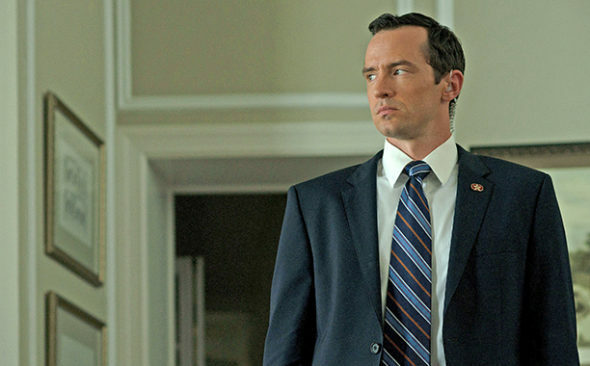 Nathan Darrow is going from the White House to small-town Georgia. Entertainment Weekly reports the House of Cards actor will appear in the fourth and final season of Rectify. The SundanceTV drama follows Daniel Holden (Aden Young), who returns to his hometown after being on Death Row for 19 years. The cast also includes Abigail Spencer, Adelaide Clemens, Clayne Crawford, Bruce McKinnon, J. Smith-Cameron, Jake Austin Walker, and Luke Kirby. The fourth and final season of Rectify premieres on October 26th. What do you think? Do you watch Rectify? What do you hope happens in season four?